May 2, 2010  Gulf communities in Alabama, Mississippi and Louisiana are bracing for an economic and environmental catastrophe from a huge oil spill threatening to come ashore. The spill followed an explosion on an oil rig in the Gulf of Mexico 11 days ago. No one is certain how much crude is pouring out of the damaged well, nor are they sure how to plug the leak. Without a way to stop it, many residents and watermen fear this is a man-made disaster from which they'll never recover. 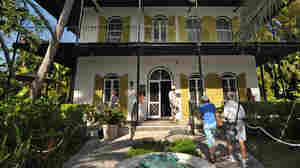 April 29, 2010  Florida Gov. 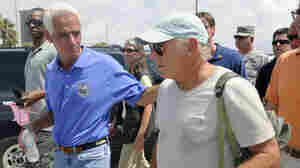 Charlie Crist has said he is leaving the Republican Party to run for the U.S. Senate as an independent. 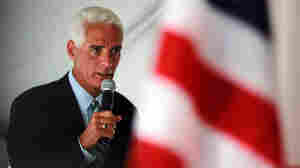 Crist is badly trailing Tea Party favorite Marco Rubio in the Aug. 24 GOP primary. April 29, 2010  Florida's governor, a mainstay of state GOP politics since the 1980s, is expected to announce Thursday that he'll seek election to the U.S. Senate as an independent in the general election. He had fallen behind his primary opponent, conservative Marco Rubio, and the move would immediately scramble the race. April 28, 2010  Florida Gov. 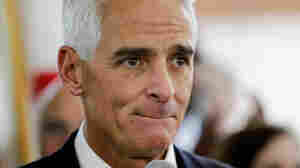 Charlie Crist — until now a Republican candidate in a hotly contested Senate race — has told advisers and fundraisers that he'll announce Thursday that he has decided to run in the general election with no party affiliation. April 27, 2010  In Florida this week, all eyes are on the state's Republican governor, Charlie Crist, and a decision he has to make in his run for the U.S. Senate. Will he remain in the Republican primary or run in the general election as an independent? In the primary, Crist is running well behind his main Republican opponent in the polls, former state House Speaker Marco Rubio. Just by considering an independent run, Crist has already changed the dynamics of the race. April 20, 2010  Florida Governor Charlie Crist has days to decide whether he'll declare himself an independent in his quest for a U.S. Senate seat. Crist, once a darling of the GOP, has watched his fortunes change.